So...did you, or didn't you? What would you have done if it were positive? Does taking the test tell me what you really think of Cade? The test I'm referring to is the NIPT (non-invasive prenatal testing), often known by brand names like MaterniT21, Harmony, or Verifi. These tests are fairly new, and are often given to high-risk women between 10 weeks and 20 weeks pregnant. More and more, they're becoming standard for all women, but if you're over 35 you'll most certainly be encouraged to take it. The test is a simple blood test that can help determine if a fetus has any of the most common trisomies...Trisomy 21 (Down syndrome), Trisomy 18 (Edwards syndrome), or Trisomy 13 (Patau syndrome). 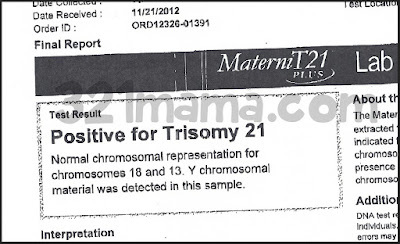 It's just a screening, which can indicate if you have a higher chance of having a baby with a Trisomy. It's not diagnostic, so a positive result on a NIPT test means you should be offered further testing. 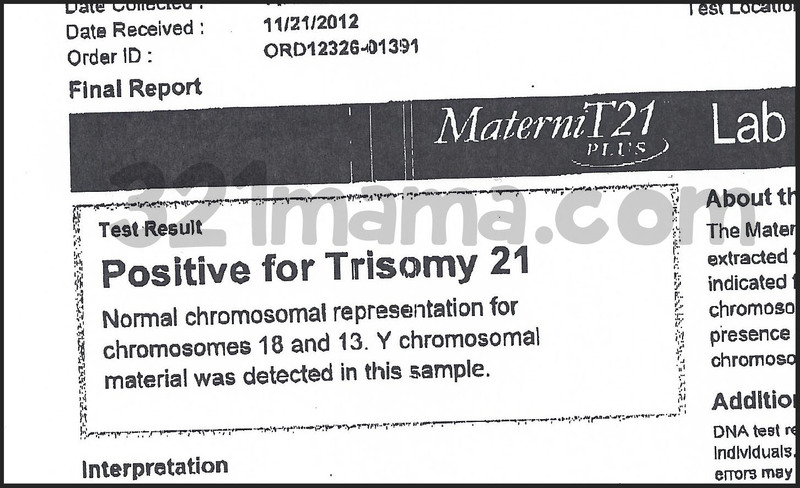 I took a NIPT test at 20 weeks, after a routine scan showed markers for Down syndrome. Our NIPT test was positive. We chose to not pursue further testing. We were having our son no matter what, so we didn't need to know 100%. Most of my friends are around my age (I'll be 40 this year), so I know they're all being offered The Test. And with each delighted pregnancy announcement, I can't help but wonder...did they accept The Test? Or do they decline the test? What does that say about Cade? I've privately asked many of my friends over the past 3 years. Did you, or didn't you? One beautiful friend said "No. I see Cade and I'm not afraid of Down syndrome." I cried my eyes out that day. Another friend had markers for Ds. We cried together the day she took The Test, and we cried together again two weeks later when the results were negative. While I was thrilled that her child would be spared the adversity that Cade will have, we both grieved a little that we wouldn't share that sisterhood. It's a weird feeling that I get with each announcement. 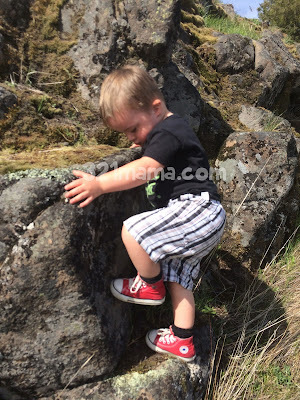 Part of me says my son's life is worthy and valuable and he's a beautiful soul. The other part of me says disability can be a dark and scary place, there are no certainties. To my dear friends...congratulations. I'm over the moon for you. Thrilled beyond words.